His Eminence Chogye Trichen Rinpoche was a highly revered teacher of His Holiness the 14th Dalai Lama and renowned master in the Tibetan Buddhist world. He was the head of the Tsarpa school of the Sakya lineage of Tibetan Buddhism, and a beloved guru of thousands of disciples across the world. 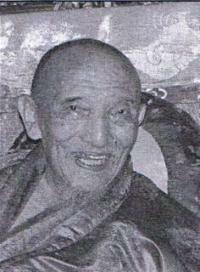 His Eminence held Lama Choedak Rinpoche in particularly high regard as his " heart son ". 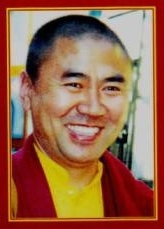 His Eminence Chogye Trichen Rinpoche passed into Parinirvana January 2007. Rinpoche is one of the finest and most prominent Tibetan Buddhist masters living in Australia today. Born in Tibet, he had twelve years of rigorous monastic training under the guidance of his teacher H.E.Chogye Trichen Rinpoche, including a three-and-a-half year solitary retreat sponsored by His Holiness the 14th Dalai Lama. Rinpoche has been teaching meditation in the west for over twenty five years and has a deep understanding of the Western mind. Lama Choedak Rinpoche is the founder of the Tibetan Buddhist Society of Canberra, and the Spiritual Director of Sakya Losal Choe Dzong also located in Canberra. For more information, click on www.sakya.com.au. 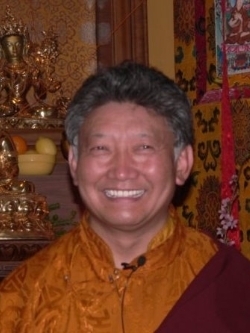 Khenpo-la is one of the most highly qualified and respected teachers of the Buddadharma and Buddhist philosophy in Australia, with a monastic career that spans over 40 years. His excellent command of english and understanding of western ways, provides his teachings with a clarity and wisdom that is accessible to all. Khenpo-la also gives regular teachings at many centres around Australia and overseas. He is the Founder and Spiritual Director of the Drogmi Buddhist Institute in Sydney.